For an authentic touch to your favorite Italian pasta dishes, try my quick & easy meatball recipe. 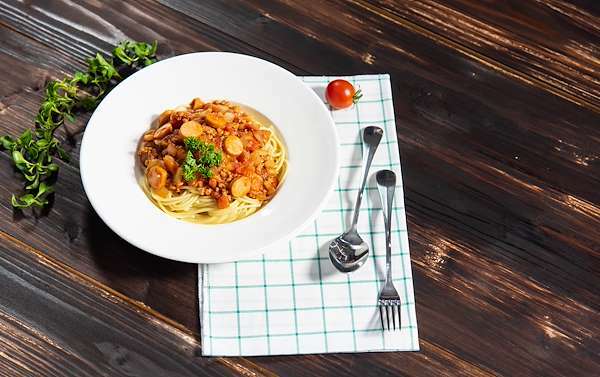 They are a tasty blend of ground beef, pork, and Italian-style herbs & spices. Bake them until golden brown and ultimately juicy. Enjoy these meatballs as a side or yummy appetizer. 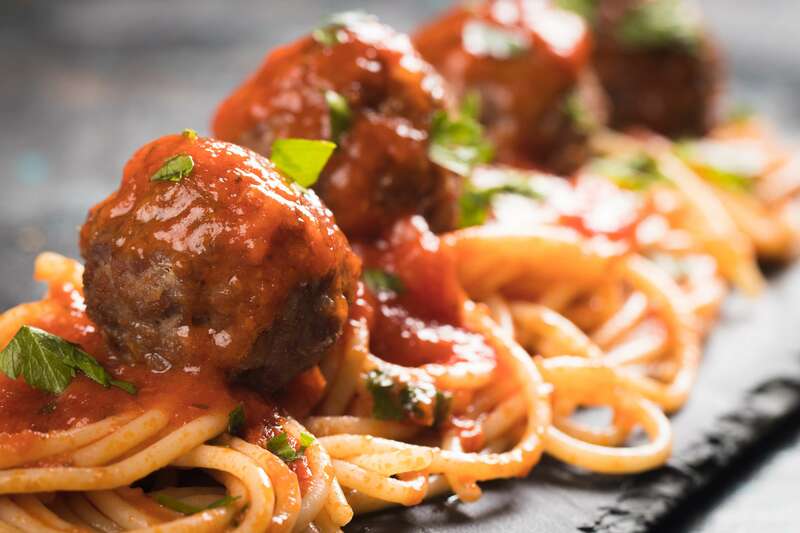 RecipeSavants.com For an authentic touch to your favorite Italian pasta dishes, try my quick & easy meatball recipe. They are a tasty blend of ground beef, pork, and Italian-style herbs & spices. Bake them until golden brown and ultimately juicy. Enjoy these meatballs as a side or yummy appetizer. Smart Recipes, Mediterranean Recipes, Beef,Dairy,Eggs,Vegetables,Pork Recipes, Recipes Beef,Dairy,Eggs,Vegetables,Pork Mediterranean Classic Meatballs PT55M Serves 6 Ingredients: 0.33 Cup Panko Crumbs 0.5 Cup Milk 2 Tablespoons Olive Oil 1 Medium Onion 1 Pound Ground Beef 1 Pound Ground Pork 2 Large Eggs 1 Small Bunch Parsley Leaves 4 Cloves Garlic 2 Teaspoons Sea Salt 1 Teaspoon Freshly Ground Black Pepper 0.5 Teaspoon Dried Red Pepper Flakes 1 Teaspoon Italian Seasoning 0.25 Cup Freshly Grated Parmesan In a small bowl, mix Panko crumbs and milk and allow to soak for 20 minutes. In a medium skillet over medium-high heat, heat oil and saute onions until translucent, about 10 minutes. In a large bowl, mix beef, pork, onions, bread crumbs, eggs, parsley, garlic, red pepper flakes, Italian seasoning, Parmesan, and salt & pepper. Cover mixture with plastic wrap and refrigerate for at least 1 hour. Preheat oven to 425 degrees. Line a large sheet pan with aluminum foil and coat lightly with cooking spray. Set aside. Form meat mixture into meatballs about 1 1/2 inches in diameter and arrange them on prepared sheet pan. Bake until golden brown on all sides, about 15-20 minutes. These meatballs can be made ahead of time and frozen for whenever you need them! 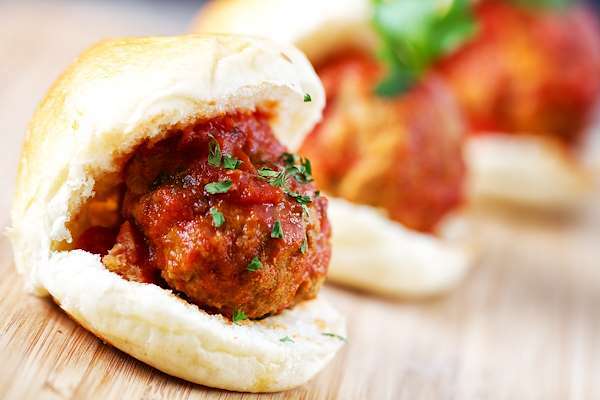 Kids love the savory, cheesy flavors of Italian food, like meatballs. These scrumptious meatballs are made from ground chicken, zesty tomato sauce, and plenty of cheese. They are easy to make and fit perfectly on a slider bun. These sliders may be small, but they are packed with flavor. 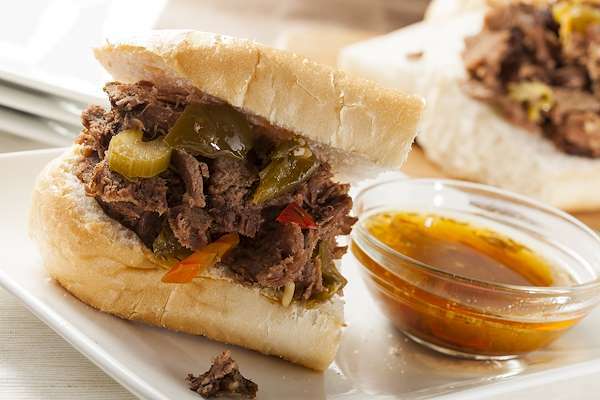 This sandwich is rich with the full flavors of roast beef and spicy vegetable giardiniera. This is a classic recipe from Chicago that will remind you of the windy city. 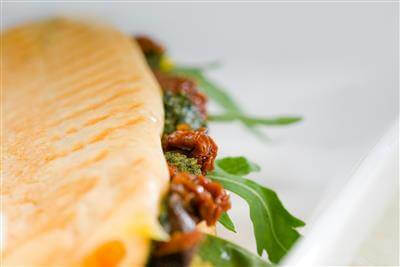 For even more decadence melt some savory and smoky provolone cheese over the saucy beef. Pair this sandwich with a savory potato salad or coleslaw. This recipe calls for three different Italian cold cuts, mozzarella, briny olive tapenade, and fresh vegetables. Olive oil and balsamic vinegar make a simple dressing. Serve these delicious bites on an antipasto platter, or alone for a simple lunch or dinner.